As I feel that anything I produce with wings has special protective powers trapped inside the project or idea. 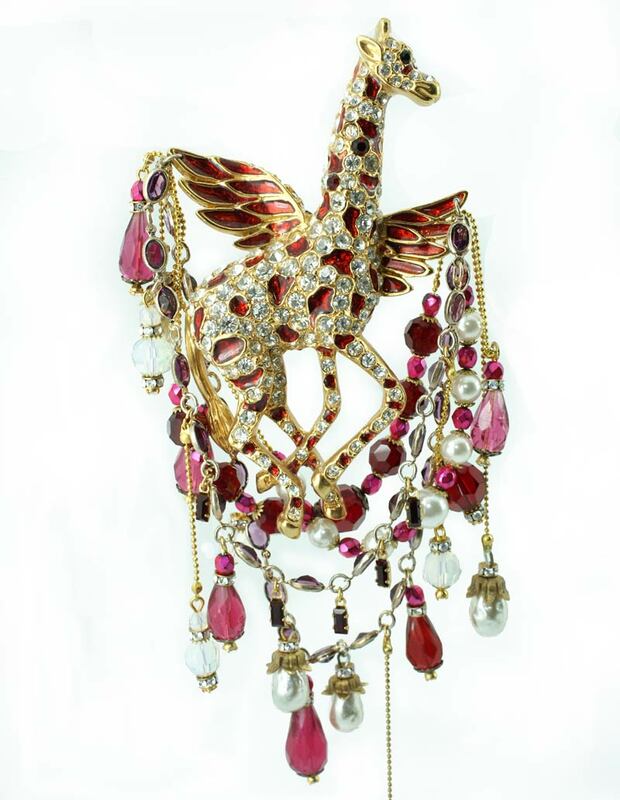 These magical giraffes are only a group of six that have been born using 1850's castings and cold enamelled in vibrant colours. Each piece is unique, numbered and signed by me. 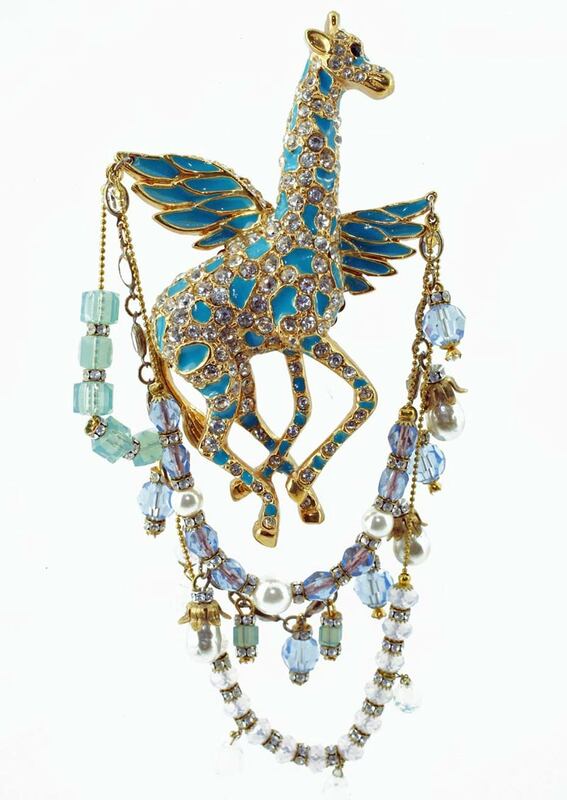 I have used vintage, hand-cut beads from India and Czechoslovakia, together with Swarovski crystal components and opaline glass, all assembled onto metal castings that have been plated with gold and rhodium. 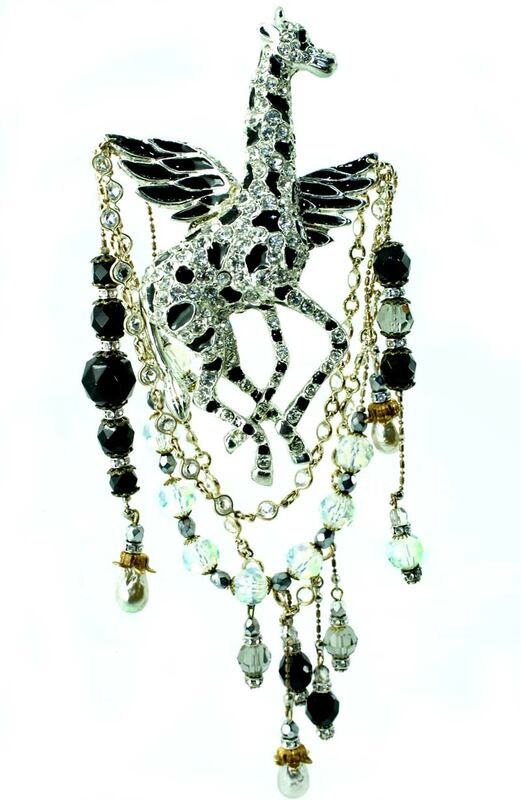 Some of the long beaded adornments are adjustable and can be pulled into different lengths as desired." Each of these beautiful brooches have been hand made by Basia using vintage components that she has collected over the years. Her constant seeking out of beautiful and interesting parts that can be, one day, made into something special, is a feature of her working methods. It takes a designer with an artist's eye to see the possibilities of the raw materials, but when everything comes together in such a magical way, the constant searching can be seen to have paid off. 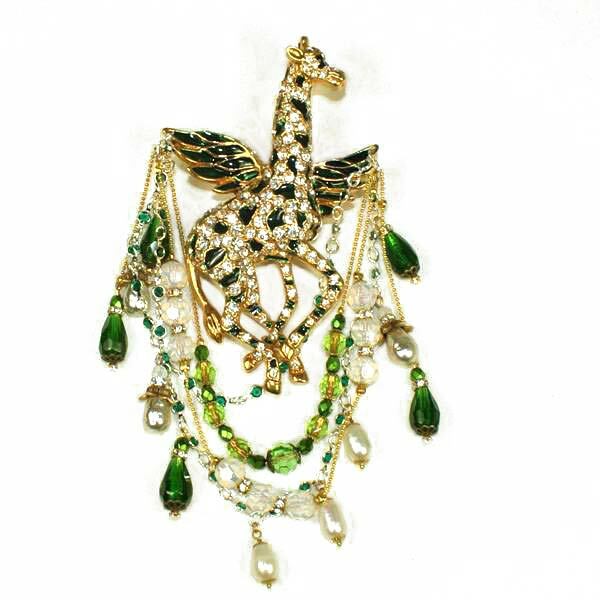 The original giraffe castings are reborn into a new magical creature. The weight is a difficult thing to appreciate from photographs but they have a reassuring feel to them - not too heavy but with a quality weight that does not stop them from being worn. There are six different designs in the collection, each different and featuring a different set of stones and beads. There is Emerald green, Rose pink, Ruby red, Turquoise blue, Opal white and Jet Black. 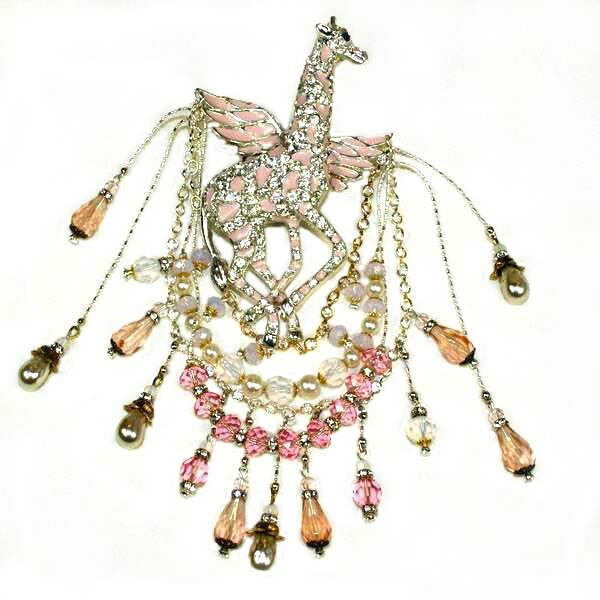 These unique magical brooches are available to buy from Basia's Sloane Square shop or direct from her on-line shop by following this link - "On-line Brooch collection " , where you can see a range of other brooches by Basia Zarzycka. The online jewellery range is just a fraction of that available in her shop. Over time, more pieces will be added but if there is anything that you are looking for in particular, it might be worth getting in touch on 0207 730 1660. You could also fill in the simple contact form - available here.